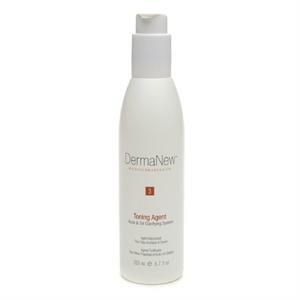 DermaNew Microdermabrasion Acne Toning Agent 6.7oz Powerful astringent tones and clarifies acne/oily skin. Recommended Use: Apply with cotton, gently wiping over face and neck. Use morning and evening and following Microdermabrasion treatment.